A coworking space in the works next to the JMZ has announced plans to add an additional 5,000 feet to the 3-story building it inked a 20-year lease for, Crain's reports. The coworking company Bond Collective, which was formerly known as Coworkrs, characterizes its work as building "collaborative environments curated around communities" and plans to open the space on Broadway at the corner of Park Avenue within the year. 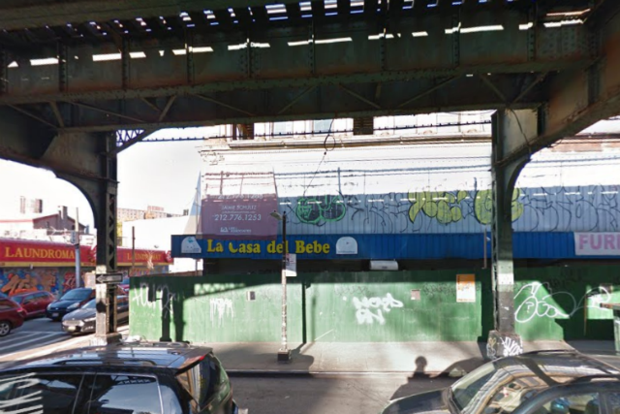 The company, which includes lactation rooms and "insanely fast wifi" among the amenities offered at its four other locations in New York City, is building a 5,000 square foot addition onto its Bushwick location. Access to Bond Collective coworking spaces starts at $350 per month. When the company first signed the lease this past spring, it told Crain's that they've leased the space at about $30 a square foot, which is a sizable gamble to make on Bushwick freelancers who don't mind the rumble of trains outside the window every ten minutes. Featured image: 839 Broadway via Google Maps.